If you didn't like Segerstrom Center for the Arts' production of "How The Grinch Stole Christmas" the only explanation is that your heart is very clearly two sizes too small. 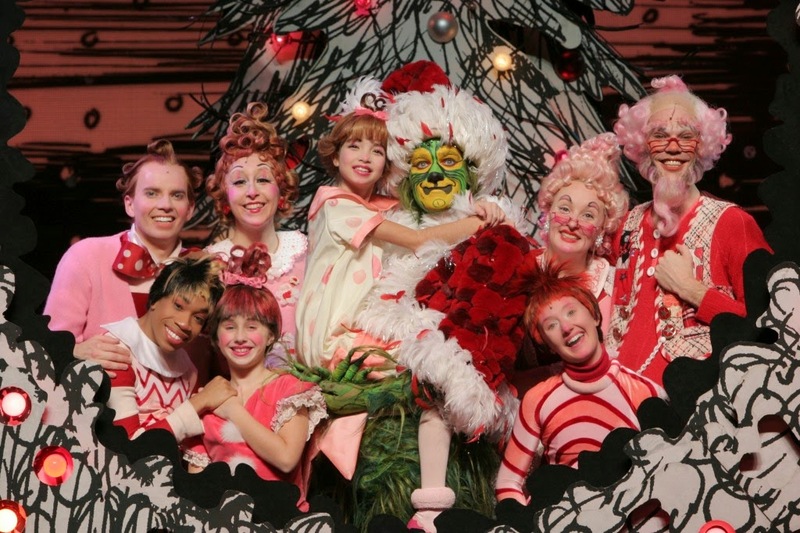 The Grinch is a family favorite and Broadway-hit at Christmas time that has kids and adults squealing alike. Max the dog (played by both Bob Lauder "Old Max" and Andreas Wyder "Young Max") tag teaming the narration as a sweet tail-wagging duo is a treat. The entire ensemble cast of "Whos," answers the question "Who likes Christmas?" with their energetic singing and dancing - they sure do love Christmas! Sets and costumes are particularly well-done, and all these parts combined transport you into a splendid sing-song world of Christmas cheer. The real show-stoppers of the evening are the innocent and charming Cindy Lou-Who (alternately played by the adorable Raleigh Shuck and Aviva Winick) who melt hearts each time she takes the stage and of course, the "mean-one" himself - Mr. Grinch (played by Stefan Karl). Adults in the audience can appreciate Karl's subtle innuendos (his pop-culture references were spot on! )and kids will think he is plain hilarious. A highlight of the opening night's performance was a child yelling "Hurry Up!" during the last scene when the Grinch is trying to utter the words "Merry Christmas" to the Whos. This moment showcased audience interaction at its best. The show is playing two more nights on the main stage at Segerstrom Center for the Arts, and you'd be missing out if you didn't bring the family to see this wonderful Christmas performance. Tickets: Here.